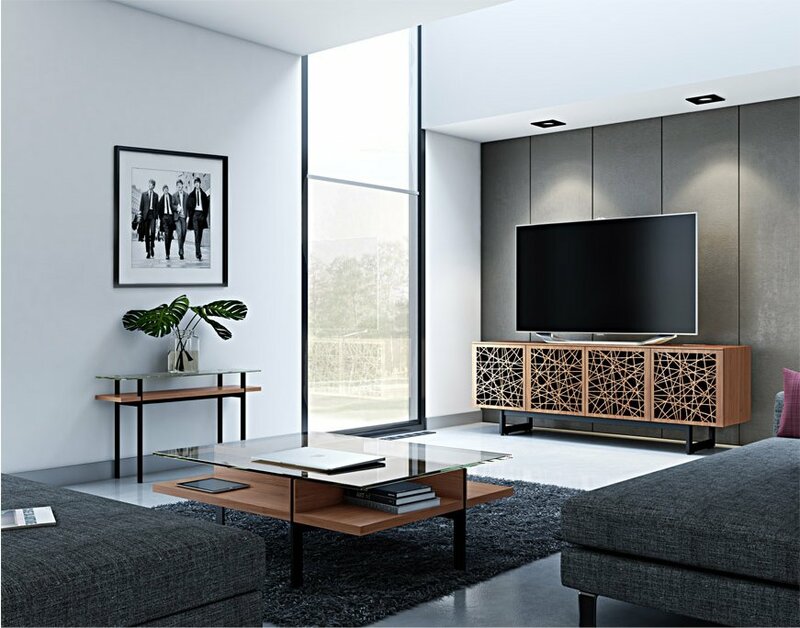 Packed with features and dripping with style, Elements media cabinets will give you something great to look at when there’s nothing on TV. 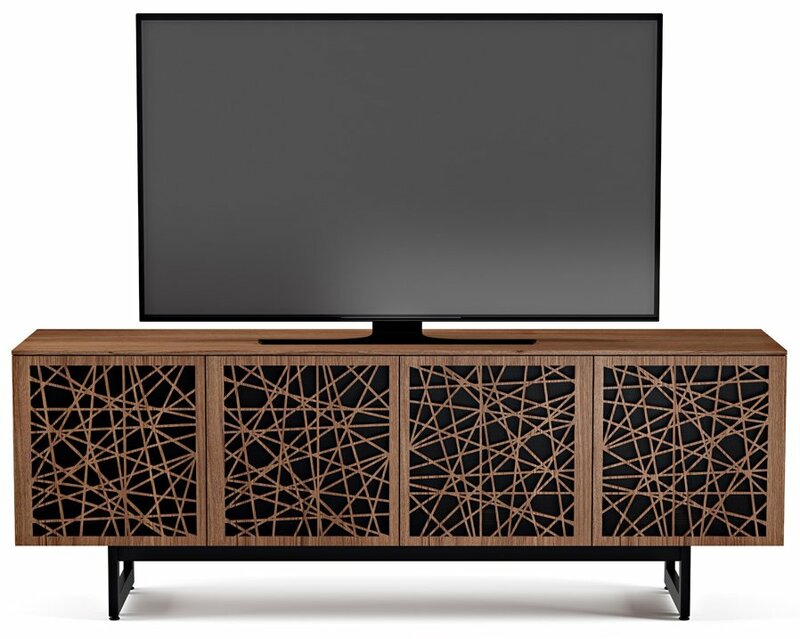 3D patterns laser-cut into the doors provide depth and interest, while components are kept neatly out of sight (but remote control accessible). Each Elements cabinet comes with a choice of two colour options – featured here is the 8779 Wheat in Charcoal Stained Ash or Natural Walnut! Elements 8779 offers masses of storage behind its uniquely styled doors. Its incredible design brings warmth into the living room, and makes your TV set-up the focal point of the room. Please note: Screens larger than 80" will overhang the stand at the sides, this is perfectly safe & normal. All measurements supplied are for overall sizes. Please check your product or contact us if unsure.